Direct Numerical Simulation (DNS) with high spatial and temporal resolution of a jet transversely issuing into a turbulent boundary layer subject to very strong favorable pressure gradient (FPG) has been performed. 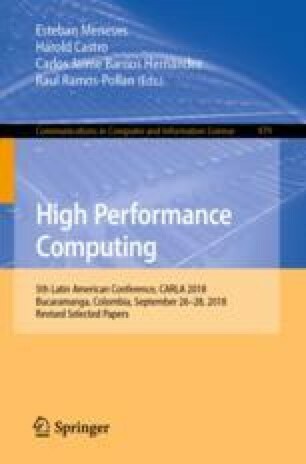 The analysis is done by prescribing accurate turbulent information (instantaneous velocity and temperature) at the inlet of a computational domain for simulations of spatially-developing turbulent boundary layers based on the Dynamic Multiscale Approach (JFM, 670, pp. 581–605, 2011). Scientific visualization of flow parameters is carried out with the main purpose of gaining a better insight into the complex set of vortical structures that emerge from the jet-crossflow interaction. An interface has been created to convert the original binary output files by the parallel flow solver PHASTA into readable input documents for Autodesk Maya software. Specifically, a set of scripts that create customized Maya nCache files from structured datasets. Inside Maya, standard tools and techniques, commonly utilized in feature film production, are used to produce high-end renderings of the converted files. The major effect of strong FPG on crossflow jets has been identified as a damping process of the counter-rotating vortex pair system (CVP). This project is supported by subaward \(\#\)074984-16663 (GECAT - University of Illinois). GA acknowledges XSEDE (Project Number: CTS170006) and NSF-CBET grant \(\#\)1512393.